Many bird enthusiasts purchase a bird house at a local discount store and later find out that it does not attract any birds. 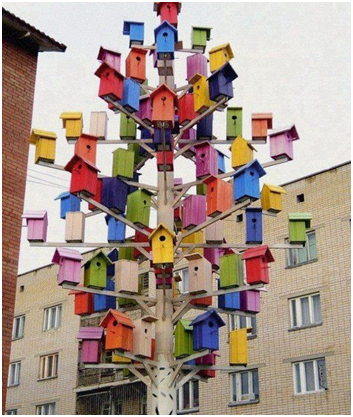 Wild bird watchers are often tempted to select a bird house based upon its decorative appearance. They want it to serve as a garden accent that happens to attract birds. Many times, however, these bird houses lack the specifications and features birds require for nesting. Careful consideration of the following specifications can make the difference between an unused garden accent and a backyard full of song. In case you are still worried you might still select the wrong type of bird house for your menagerie of wild birds, we have done some of the homework for you in researching the top 3 wooden bird houses. All you have to do is figure out where to place it in your yard. Audubon is a favorite bird house due to the details in this simple basic box design. Any product Audubon puts out is always field tested, then approved by the National Audubon Society. This cedar wood bird house is hand-crafted and features a Coppertop roof. Built to Audubon specifications, there is a 1-9/16" hole and comes with a fitted predator guard. Audubon also includes an education label and insert sheet to help you attract bluebirds or other desired nesting birds to your backyard. Be sure to mount the nest box at least 4 feet to 5 feet high using an Audubon pole, baffled wood post or tree. 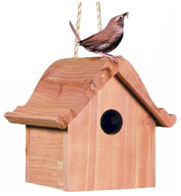 If you are trying to attract the small little Wrens, this basic cedar bird house features a Dutch Style roof, a hanging rope and is 6.5 tall with a 2 inch entrance. The aromatic cedar is weather resistant and known to repel insects. 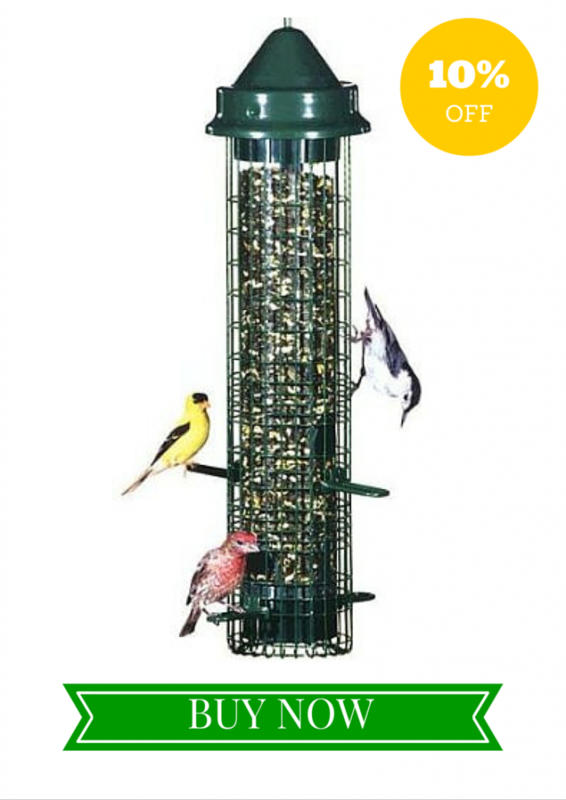 This bird house is simple but extremely durable and able to handle rough weather conditions. Perky-Pet makes their bird houses from non-endangered timber. 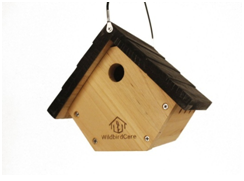 Another company which puts much thought into their bird houses is Wildbird. 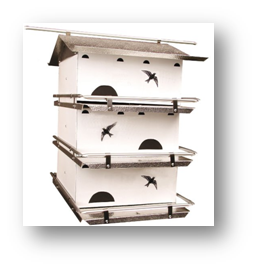 The BCH1A cedar bird house has six ventilation air holes, and a pull out slat. The entrance hole is 1 inch, small enough for the small wrens, but too big for a squirrel invasion. Instead of having to add the ventilation yourself, they thought of every detail to prevent the bird house from acquiring bacteria or mildew. The slat on the bottom pulls out for cleaning, which is recommended every two weeks. If you are new to birding, and want to learn more about the birds who frequent your back yard and what kind of habitat they require to stay around, then pick up one of the very best birding books around called National Geographic Backyard Guide to the Birds of North America (National Geographic Backyard Guides). Whether you get lost in the amazing illustrations or intense photographs, you will find a treasure of information regarding backyard birds. This guide list nesting habitats, preferred foods, identification codes, and seasonal range maps. It is chocked full of intriguing information, like how to identify, take care of and approach your feathered friends. This is a valuable field guide and tool using brilliant illustrations and fascinating nuggets of facts, that anybody can use it and become a bird enthusiast. Perhaps this is the year for a new hobby. All it requires is, well…you. Purple Martins are recognized for their hauntingly beautiful song. With a length of 7-8 inches, they are the largest North American swallow. Depending on how the light hits, they can look purple, blue or even green. The beloved martins are social birds, with nesting colonies that can include hundreds of paired birds. Roosting colonies have been seen to include tens of thousands of birds. The largest one ever on record had an estimated 700,000 birds at one time. If Purple Martins are given ample space to nest, they are happy to from large colonies. 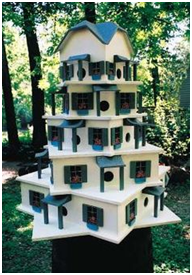 When you put up a Martin bird house, consider it to be akin to having a miniature neighborhood inside your backyard. Martins require a different type of bird house as they like to nest in great numbers. When putting up a Martin house, many birders will do two or more large bird houses and even add some nesting gourds nearby. These birds want to be as close to each other as possible. The bird houses need to be at least five feet off the ground to attract the Purple Martins. These lovely songbirds do most of their feeding between 160-500 feet high, leaving the rumor that they consume up to 2,000 mosquitoes a day still questionable since mosquitoes are less likely to be found at those heights. They will also feed their nestlings up to almost 60 times a day, feeding them a wide variety of high-protein insects. Martins will even drink in midair by scooping water into their bills as they fly over a viable water source. Older birds will choose the better nesting sites because they are the last to migrate. Typically males will migrate first, then the females and finally the younger birds. For these reasons, once a Martin bird house is established the entrance to the housing should always be kept in the same orientation. If the house is moved, and not reoriented, Martians may become confused and abandon their nests. Choose the right location for the bird housing. Purple Martins thrive on housing place in wide open areas so they can have clear flyways. Try to mount the bird house about 30 -120 feet from human homes and at least 40-60 feet from any trees. Always put some distance between bird feeders, baths, and bird houses. This could affect the comfort of a number of bird species which do not thrive on too much feathered traffic. Speaking of unwanted traffic, to keep predators at bay, pay close attention to any wires, trees, jumping platforms which make it easy to access the bird houses. There are ways to keep unwanted fur visitors away from birds. Many birders will go extra steps to ensure their bird houses are perfect for their feathered family. For proper ventilation and drainage, small holes or slits just below the eaves of the roof will allow air to flow in. Drainage holes in the corners of the floor or along the wall helps to keep the bird house clean. Cavity-nesting birds like Purple Martins do not need perches. Perches only help predators to hang on and explore inside the bird house. Martins prefer to cling to the outside of the box, especially if it is weathered natural wood. While Purple Martins will reuse their home year after year, they use fresh nesting materials each time. Their favorite materials include human or animal hair, yarn, feathers, soft grasses, small pieces of fabric and pine needles. Some bird enthusiasts will create a little netting filled with various materials and hang it near nesting boxes as treasures for the Martin’s redecorating. Remember once a year (when the birds have migrated) to take down the bird house and clean it out. It is okay to remove the old nesting material. Use a mild bleach solution and a stiff brush to kill mites or parasites. When the Martins return, it will be like coming home to a new house. To give you an idea of a perfect Purple Martin bird house, we have presented our favorite pick here. This is a perfect set-up for the whole colony. The entrance holes are small enough to keep predators at bay, along with the L-shaped design inside. Each compartment features two separate areas, one if for the nesting chicks and the other one is for the parents to sleep in. According to National Geographic, our bird population is on the decline. The threats against common birds are some you would expect, and some you would not. While we know bird habitats are eliminated by human expansion, you would not expect domestic cats to be a part of the problem as well. Nor would you expect wind turbines or global warming. The threats are varied and concerning. The best way to combat the changing landscape of bird decline is to help birds to sustain in their natural environment. We can protect their numbers by working with the eco-structure to create a harmonic balance between man, and animal. Bird houses are a beneficial way to assist birds to thrive. Mounting one or two or even more bird houses is easy, and birds are wonderful to watch and enjoy. Perhaps you have a bird house already sitting in your backyard. You might even ponder life with a cup of coffee while you sit quietly and admire the business of your backyard friends. Little did you know how important the bird house was to the birds and environment? Providing a simple nesting place gives them a safe place to live, to keep their numbers strong. You have delivered them from predators and provided them warmth during the coldest months. You have given them a place to raise their young. In return, birds will be your pest control, as many species of birds are insectivores, even taking on massive infestations gladly. Without their eating habits, this would cause an imbalance that could be devastating, even if only in your own yard. The same can be said for weed control too. Birds like Sparrows, Blackbirds, Jays, or Finches are seed-eaters. They are fast to consume endless quantities of undesirable weed seedlings. Between insects and unwanted weeds, birds manage the landscape with natural behaviors. Birds are also great pollinators. They carry on the natural landscape giving gardens and flower beds that extra boost. Think about all the benefits from birds who love fruit trees, and through them you can enjoy a bountiful harvest year after year. Count on birds to provide an excellent show if you are planning on selling your home. Aside from cozy home smells like cookies, or cinnamon, most potential home buyers relish in seeing birds gracefully fluttering around a yard. A lovely bird house or two strategically placed offers a solace many people are seeking in their lives. As mentioned, by offering a bird house you have provided a perfect nesting environment for incubation. This helps to preserve the species which might otherwise not be able to maintain their balance in nature. Also consider the benefits of adding a bird feeder and a heated bird bath for non-migrating birds that use up all their energy in cold months to find food and water. Bird houses are excellent for observation, fact gathering, and learning. This aids science to gain a stronger understanding of how people and wildlife can successfully live together. Birds, whether pecking away at seed, fluttering their wings against water or simply singing provide us harmony. Children have an amazing curiosity towards learning, so birds provide an excellent platform to teach younger generations about conservation and protection of wildlife and environment. Children can also benefit from building their own bird house as a family activity. The entire process is an exciting and fun project which inspires creativity and pride. Many families have forgotten the value of this engaging moment in a young life, often not finding the time to sit together and just do a simple project. Building a bird house is a warm memory for childhood. The sound of a bird in the morning is our alert to harmony and natural process. The calling amongst birds reminds of us life being calm, balanced and pleasurable. Without birds, we could not derive the enjoyment they provide on so many levels. Birds simply touch all of our senses and remind us to enjoy the day. In return, we build them another bird house, and invite them to stay awhile. Hang a bird house, build a bird house, add a feeder or bird bath and get satisfaction in knowing you have created a beneficial two way relationship between you and birds. You are also helping to maintain the balance of nature within the environment. Without even realizing it, just because you happened to enjoy birds, you have contributed to the continuation of their species. Sometimes, it is the little things which make the biggest difference. 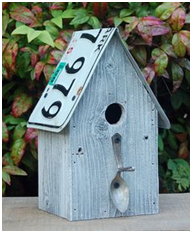 Birdhouses are needed more than ever due to heavier populations of people, such as suburban areas. There are many reasons to spend a quiet weekend building a nesting place for feathered friends. Why Build a Bird house? Bird houses can be used as scientific observation tools by observing the behaviors of birds. Children and adults can learn a great deal by watching them in their natural habitats. 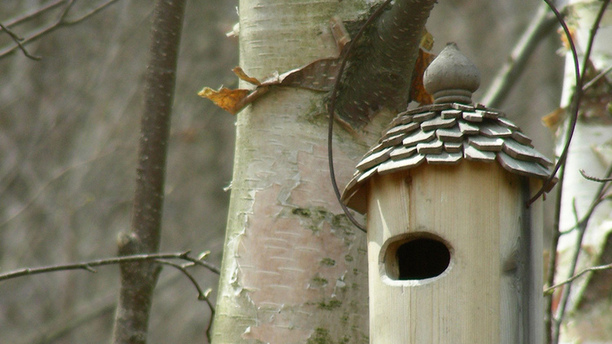 Conservation plays a great role in building a bird house. By doing so, you are essentially providing a critical nest sites. There is a shortage in nest sites from increased competition by non-native birds, plus a gigantic decrease in natural habitat by building and construction. Building bird houses seems to be a hobby of yesteryear, and was considered a favorite constructive pastime. Somewhere through technology and retail, it became easier just to purchase one. Yet, unique bird house kits to build are plentiful. This is an easy and inexpensive venture to do, and the end result benefits the environment. While there are more than 70 species of birds which take to nesting in bird houses, or the variation in nesting platforms, there is not just one type of bird house which would be suited to all. Bird species have different behavioral needs; picking out which bird house kit to build largely depends on what kind of birds exist your yard already. The bird house is determined by the required habitat. Sometimes, even a mixture of blended habitats will attract a wide variety of birds. Building a bird house should be a fun, creative process, so when choosing a kit always consider the skill level to keep the project flowing. When shopping for a kit, look for ones which include thicker pieces of wood and size of the entrance hole. Predators are more likely to take advantage of a nesting site with too large of entrance. This is a fun project, and right away will have the kids wanting to get involved. When selecting a bird house kit, be sure it will be a functional one; many kits are confused with crafts and offer no further purpose than the construction. This sweet bird house kit is big enough to hold two birds. One of the prominent features is a real thatched roof. Included in the kit is a colorful 6 weatherproof paint set, brushes and easy to follow instructions. Once completed the birdhouse measures 7 inches wide by 6 inches in diameter. 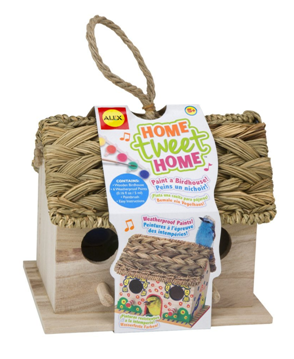 Get ready to attract beautiful songbirds with this great birdhouse kit. As soon as you open up the box, the woodsy scent of the cedar empties into the air. 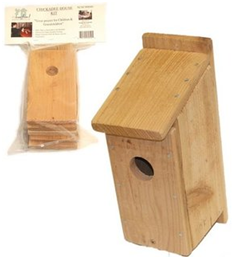 While it might seem like a plain box, this is the preferred nesting bird house for many species of birds, especially bluebirds. The roof can be lifted to clean and even better, to see inside. There is a built-in stairway for the new little birds to climb and get ready for their first flight. The entrance hole is a perfect size at 1 ½ inches. Alter the design if possible to make the roof or one side hinged for easy cleaning. Adjust the entrance size to be suitable for a specific bird by adding a thin wooden plate with the appropriate hole over the kit's pre-drilled entrance.